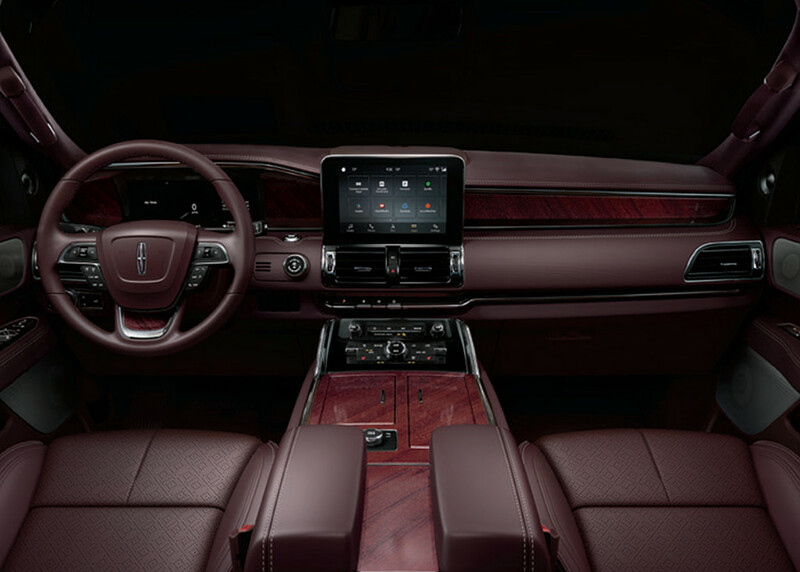 The new Lincoln Navigator Black Label has been granted exclusive rights to three unique interior themes: Yacht Club, Destination, and Chalet. 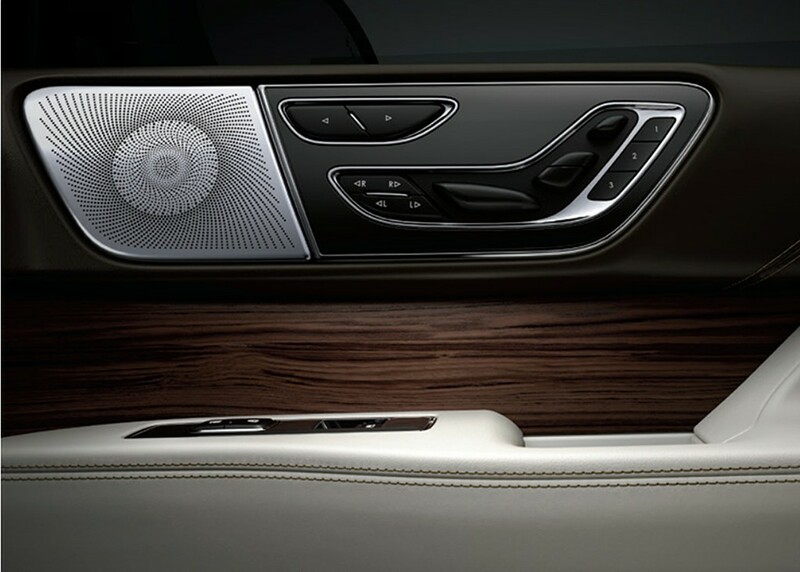 With Yacht Club, the Navigator follows after the Continental sedan in offering one of precious few blue interior themes in the industry. Coastal Blue Venetian and Blue Bay Alpine leathers occupy much of the visible surface area, with whitewashed teak appliqués providing a nice accent. The ceiling and pillars are covered in off-white for a vast, airy effect. The whole affair was “designed to evoke the sensation of being on a yacht in the open air,” says Lincoln. It’s almost the complete opposite of the Lincoln Navigator Black Label’s “Destination” theme, whose darkness is encompassing and absolute. This theme “takes its inspiration from vintage luggage, hearkening back to a time when travel was rich with excitement and intrigue,” Lincoln says. Mahogany Red Venetian leather covers much of the interior, featuring an exquisitely detailed diamond weave on the seats. The appliqués in this interior are khaya wood, which provides a rich, saturated counterpoint to the more sober cowhide. Finally, Chalet was made to evoke the “pleasures of pulse-pounding mountain slopes and the inherent comfort of an après-ski lodge.” Espresso and Alpine Venetian leathers envelope much of the interior, while earthy Silverwood appliqués provide splashes of subdued color to an otherwise largely monochromatic interior. 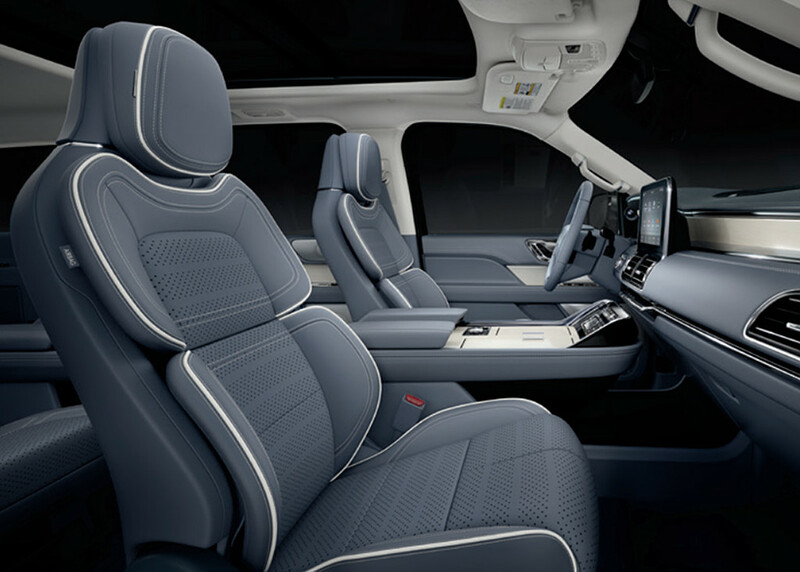 In addition to access to these three unique interior themes, buyers of the Lincoln Navigator Black Label will also get the standard Black Label treatment, which includes extended service and maintenance coverage, anytime car washes, annual detailings, and a membership to the Lincoln Black Label Culinary Collection. Lincoln has also just added a Black Label Travel Collection, which features an invitation-only membership to the Avis® President’s Club. We imagine that would pair quite well with a nice set of vintage luggage.